Dr. Sharpe was born and raised in Cedar Rapids, Iowa, where in 1987, he graduated from Thomas Jefferson High School. From high school he went on to attend Cornell College in Mt. Vernon, Iowa, where in 1991 he received a BA in biology. Directly from Cornell, Dr. Sharpe attended the University of Iowa College of Dentistry and received his DDS in 1995. Following Dental school, Dr. Sharpe worked as an associate for Dental Associates, PC, and then Fort Des Moines Dental. In 2000, Dr Sharpe co-founded Sharpe Family Dentistry, PC, with the overall goal of providing quality dentistry in a relaxed, comfortable environment. In Dr Sharpe's free time, he enjoys spending time with his three beautiful children, fishing, golfing, various fitness activities, and following Iowa Hawkeye athletics. Tricia has been with Sharpe Family Dental since opening in April 2000. She has been a dental assistant since 1990 and resides in West Des Moines with her husband and two boys. Stacy has been with Sharpe Family Dental for nine years. She enjoys spending time with her family and friends and shopping. Stacy resides in Bondurant with her husband and their black lab, Ella. Nicolle completed her dental hygiene degree in 2008 from Des Moines Area Community College. She has been with Sharpe Family Dental ever since! She and her husband enjoy spending their free time with their two daughters - both are very active and keep them busy! Nicolle enjoys helping patients understand the importance of good oral healthcare. 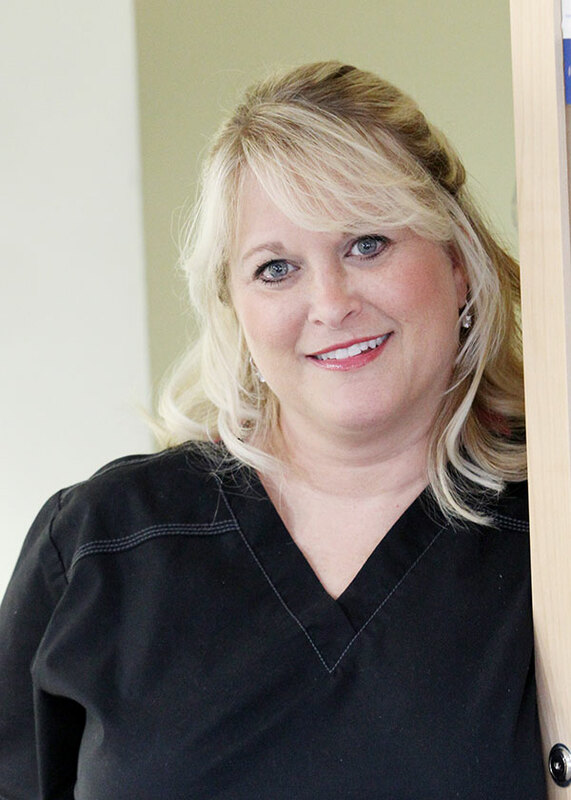 Robin graduated from Des Moines Area Community College in 2002 with her degree in dental hygiene and has been working for Sharpe Family Dental since then. She and her husband, Matt, have three sons and two grandchildren! It is Robin's goal to always provide comprehensive oral care and education to each and every one of her patients, all while making them feel very comfortable and at ease during their visit.